Description: Cambrooke’s own Wheat Starch comes in a two-pound convenient zip pouch for you to make breads, pizza crusts and other baked goods. Serving Suggestions: Try the Wheat Starch Pizza Dough recipe on our website. Storage: Store in a cool, dry place for up to one year. 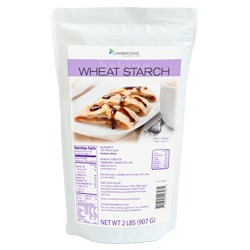 Ingredients: 100% Wheat starch. Contains wheat. 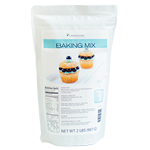 Makes cookies, cakes, pie crusts and other baked goods. 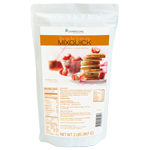 This versatile batter mix makes incredible pancakes and waffles -- just add water!